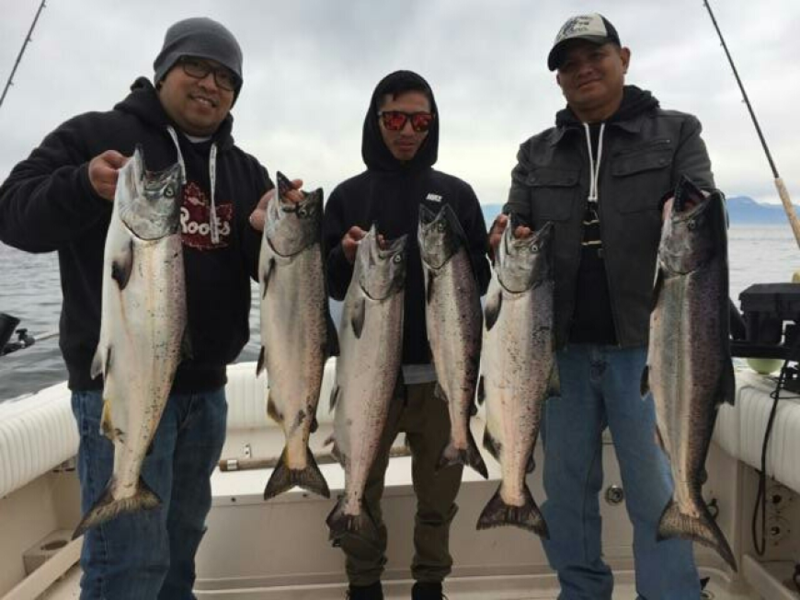 We are often hesitant to say the fishing is "that good" or the best "Early Spring Salmon Fishing in Years", but this last week has been just that..... OUTSTANDING!! We are not sure how long it will last, but it sure bodes well for the next couple months! The best fishing has been over on the far side of Georgia Strait from Neck Point down to the South End of Galiano Island. The fish are out in the deep water in 200 to 1200 gorging on herring. Most days we are hooking 10 to 20 (sometimes more) salmon and coming back with limits of chinook averaging in the 8 to 15 pound range. The Vancouver side has been good as well, but not nearly is a good as the far side of the Strait. Locally we have had some good success in the deep water off the Bell Buoy, the Hump, Cowan Point, Roger Curtis and off the QA marker. These fish are actively feeding and we have not really been running much bait. Spoons and hootchies have been working vell! Gibbs Delta G Force G Force and Skinny G's and Silver Horde Kingfisher Spoons in green/white/chartruese combos have been excellent. Yamashita glow/green/chartreuse hootchies have been working great as well. On the Gulf Island side we have been running our gear from 100 to 170 feet down. On the Vancouver side, we have been running shallower and getting our bites a little shallower 80 to 130 feet down. Stop by our charter/tackle shop on Granville Island for all the latest reports and the right tackle and bait for local waters. 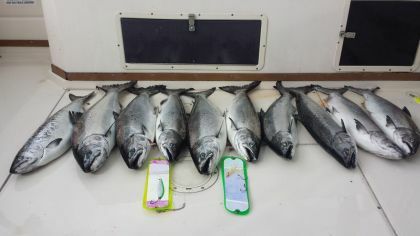 If you are looking at getting out on the water, full day charters are recommended and needed to fish the Gulf Island's! If the weather is too rough to cross, there is good opportunity on the Vancouver side of the Strait as well. 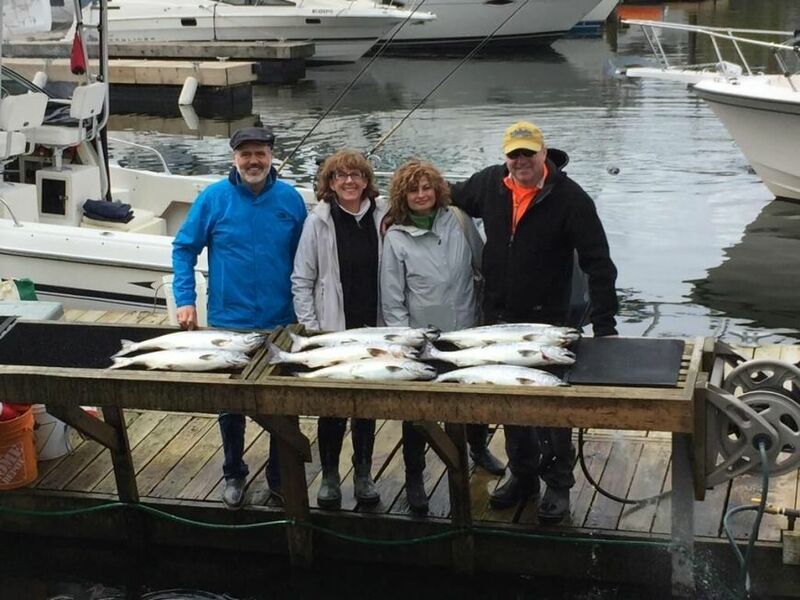 We are not sure how long this excellent spring fishing will last in the Gulf Island's, but things are sure looking promising! 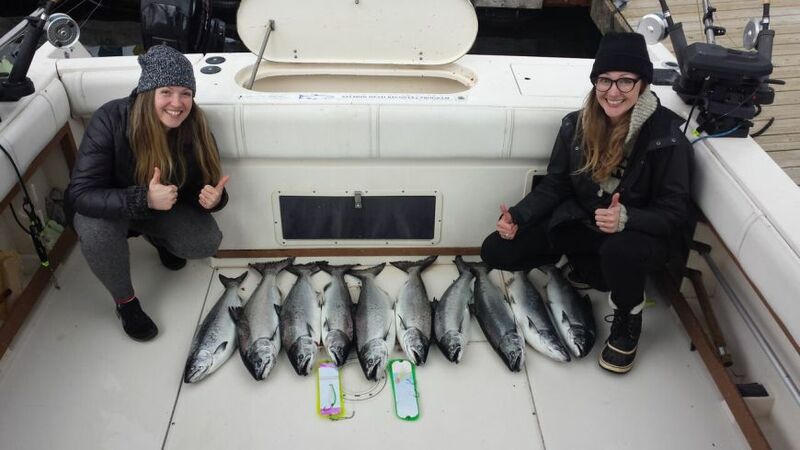 Give us a call or an email if you would like to get out and do some spring fishing in Vancouver!